After lunch at Apolonas I thought it was time to go south again, and after a couple of hours driving I arrived to Agia Anna/Cape Agios Nikolaus. Unfortunately it was a little too windy to be comfortable to relax in the sun, but I stayed for a while. 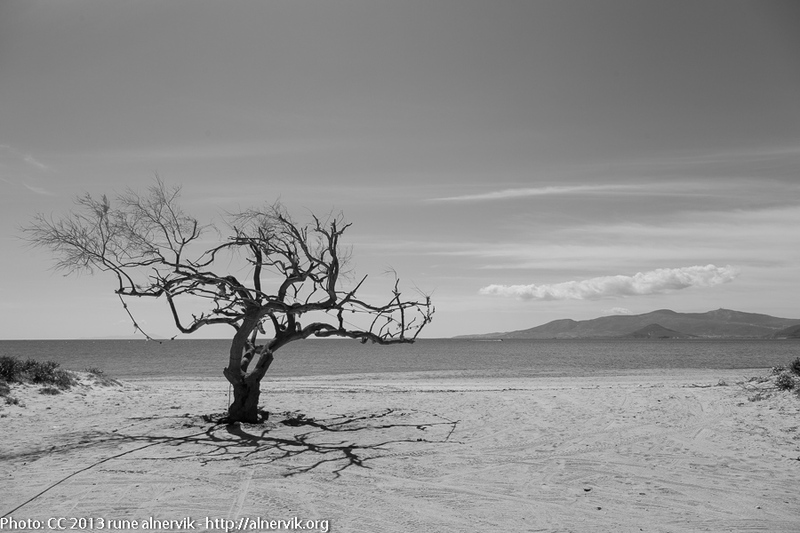 This entry was posted in Landskap, Natur, Resor and tagged Agia Anna, Naxos, Prästkrage, Strand on 2013/05/19 by Rune. After walking in the landscape looking at two Kouros, I thought it was time for lunch in Kinidaros, the next village on the road. I had a toast and water in a coffee shop, with a nice view on the small square, and landscape towards south. The weather was great so relax on a nice beach for an hour or so was my next goal for the day. After some driving I reached Agia Anna and Cape Agios Nikolaus, where a classic clothing optional cove can be found. Just above the beach the small chapel Agios Nikolaus looks down the the sun lovers. The image with the tree is 200 metres south of the cove, and indicate the beginning of the lovely Plaka beach at a length of 4 km! 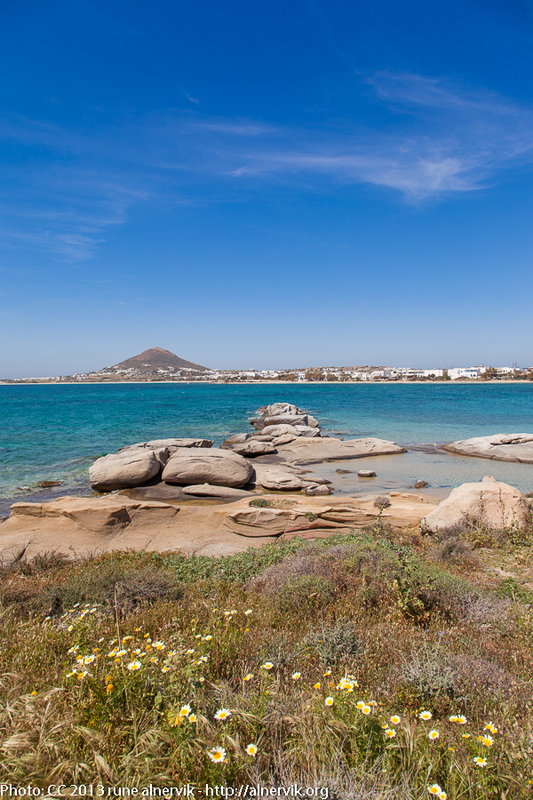 People who love to visit nice beaches shall travel to Naxos, that’s for sure! As bonus you can do so much more on an interesting island as this! This entry was posted in Kultur, Landskap, Natur, Resor and tagged Agia Anna, Agios Nikolaus, Kinidaros, Naxos, Strand on 2013/05/14 by Rune.